ISLAMABAD: The Supreme Court (SC) on Monday directed the Defence Ministry to submit a reply on the implementation of its 2012 verdict in the Asghar Khan case within four weeks. In 1996, Air Marshal (r) Asghar Khan had moved the top court alleging that the two senior army officers and then president Ghulam Ishaq Khan had doled out Rs140 million among several politicians ahead of the 1990 polls to ensure Benazir Bhutto’s defeat in the polls. 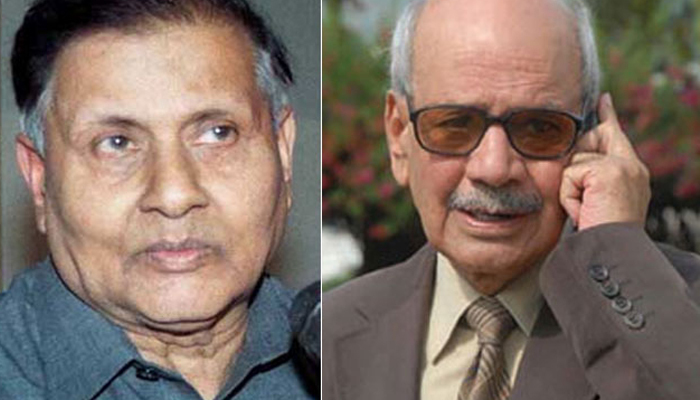 In 2012, the court had issued a detailed verdict ordering legal proceedings against former Pakistan Army chief General (r) Mirza Aslam Beg and former director general of Inter-Services Intelligence (ISI) Lt Gen (r) Asad Durrani. As a three-member bench headed by Justice Gulzar Ahmed heard the case, the court demanded that a report be submitted. The court also asserted that it will review the Federal Investigation Agency’s (FIA) report as well as the Defence Ministry’s reply to see whether court orders were implemented in the case or not because “it appears that FIA wants to backtrack from the case”. Justice Gulzar inquired why the Defence Ministry had not undertaken action to begin a court-martial of Pakistan Army officers accused in the case even though it had said that it was going to prosecute them. To this, the attorney general replied that the matter will only proceed once an inquiry is completed in the case. If it is a matter of fraud or losses incurred by the national exchequer, a court-martial can be done anytime, he added. During the hearing, Justice Gulzar pointed out that FIA had claimed that it could not get concrete evidence in the case because banks do not hold 28-year-old records. Justice Ijazul Ahsan interjected that Rs18.4 billion was spent in the Asghar Khan case 28 years ago. Then, Justice Gulzar suggested that perhaps the heads of banks should be summoned. Justice Gulzar added that the Muttahida Qaumi Movement (MQM) founder was given money too but his name was omitted from the case as well as the FIA report. At that, the attorney general clarified that MQM founder’s name has been mentioned in the report submitted by FIA. However, he added, he is not in Pakistan and talks are underway with the British government for his extradition and development is expected soon. The hearing was then adjourned for four weeks.